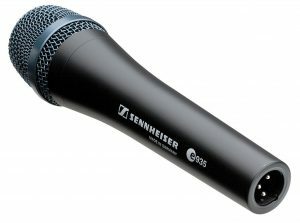 When it comes to microphones, the Sennheiser e935 isn’t a model to be scoffed at. It features a sturdy design and sound quality that is nothing to be ignored. 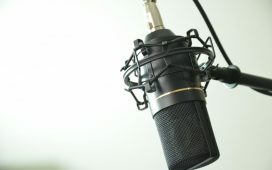 In this article, we are going to take a deeper look at this microphone and what it can offer you. The Sennheiser weighs in at 330 grams – or 11.6 ounces – making it a little heavier than most microphones of its type and size. It is also slightly longer than the microphones it is most often compared to. However, this is about the only complaint that users had about the Sennheiser e935. 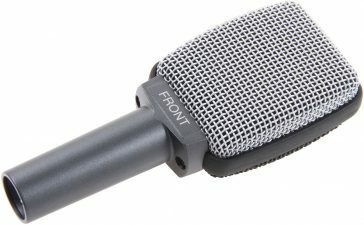 This mic is made to be strong and durable as well. It is made for the musician that needs a mic that can handle whatever is thrown at it. The first and main way that it does this is with a metal housing instead of the plastic housing that some cheaper microphones use. It also features an advanced shock mount design to keep it running for years to come. Durable, metal housing to keep the microphone safe and durable even in unfortunate situations. Advanced shock mount system further helps with the durability of this microphone. A cardioid pickup pattern helps to reduce feedback and interference, making this a good stage microphone. Extended frequency response of 40 Hz to 18,000 Hz gives the Sennheiser e935 an increased sensitivity and realistic sound reproduction. Watch out, though, this increased sensitivity means increased handling noise as well. However, a shock resistant capsule helps to limit this handling noise. 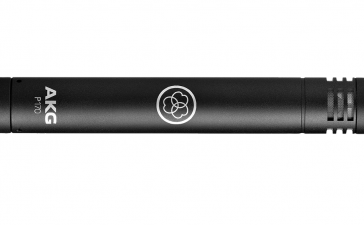 With a nominal impedance of 350 Ohms, the Sennheiser e935 keeps up with other microphones in its field. A gentle transition makes sure that all the range of sounds are captured without any blips or muddiness. For the Sennheiser e935, Sennheiser offers a 10-year warranty. So, if anything happens to the microphone within the first 10 years of use, you can get it replaced with no problem. This microphone also comes with a bag for storage and a clip. The Sennheiser e935 has amazing sound quality. With a range of 40 Hz to 18,000 Hz, you are covered from baritone sounds to higher pitched sounds, meaning both a male singing voice and a female singing voice will register with the same sound quality and clarity. This mic also has a good balance of brightness, allowing singers to cut through instruments or a speaker to cut through background noise easily with vocals that are clear and distinguishable. It is one of the best Sennheiser microphones for this purpose. The Sennheiser e935 is also a sensitive mic. It will pick up small sounds and minute noises. This can be tricky because it will pick up handling noises easier but this is cut down by a shock resistant capsule. With a little practice, though, this sensitivity is easy to get used to. This microphone is also good with feedback. This feedback resistance is particularly important as this is meant to be used mostly as a stage microphone. So, it is helpful that it won’t squeal and protest once it gets within 30 feet of a speaker. The first question to answer when it comes to ease of use is who is the Sennheiser e935 made for? Well, it’s made for just about everyone. It can pick up higher pitched noises – such as a woman’s singing voice – to lower register noises – such as a man’s singing voice. So, virtually no one will have any problems using it. 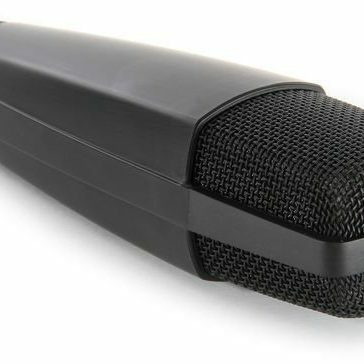 This microphone is made to be best used by musicians. It is rugged enough for road life and any mishaps that may happen on stage as well as the pickup pattern being perfect for musicians. As mentioned before, it will pick up an entire range of singing voices. In addition, it has optimal balance and brightness, making it perfect for cutting through music to produce clear and intelligible lyrics. It also doesn’t need a ton of editing to make it sound good. 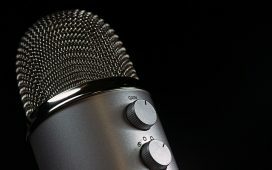 While you may end up editing the recording after you record it, even live you will get a clear and concise sound. The Sennheiser e935 has a high quality sound that is clear and crisp. This microphone is also budget friendly without cutting back on any features or quality. The Sennheiser e935 is resistant to feedback. This is, in large part, thanks to the mic’s cardioid pickup pattern. When you are recording over music, the Sennheiser e935 cuts through nicely giving you clear, intelligible lyrics over the music being played around and under the vocals. This mic picks you up at a normal tone, so singers won’t have to strain their voice and speakers won’t have to yell to be heard properly. 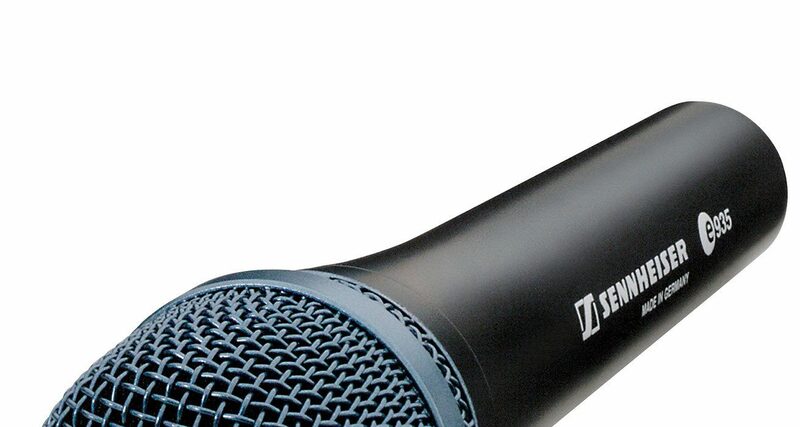 The Sennheiser e935 microphone is perfect for picking up any voice and any range. 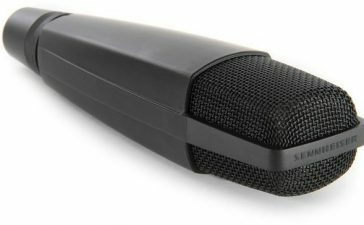 This microphone is made with a shock-resistant capsule mounting that helps to reduce handling noise. The Sennheiser e935 is made with a humbucking coil that helps to reduce interference. The Sennheiser e935 is made for durability with a metal housing. This microphone is more than just rugged, though. It comes with a 10-year warranty. 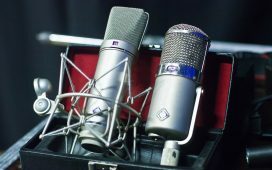 The weight – 330 grams (11.6 ounces) – is higher than other microphones like it. The Sennheiser e935 is slightly longer than other microphones like it. 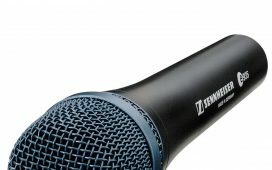 Since the Sennheiser e935 is so sensitive, handling noise can come through more than with other mics. Overall, the Sennheiser e935 is an absolutely stunning microphone. First, it is one of the most durable options that you have. Thanks to its metal casing, you won’t have to worry about replacing it in the event of a minor drop or accidental fall. It also has an advanced shock mount design. Then comes sound quality. In all honesty, this microphone is on par with other, less budget-friendly models when it comes to sound quality. It can support low pitches as well as high pitches with no hiccups in between. In addition, the sound you get is clear and concise.